Playing through an online casino bonus may sound like a straightforward affair; log on, make a deposit and start to play with someone else’s cash. However, without a little know how, your feverish wagering and re-wagering can turn into a fruitless task. Winnings will not be redeemable, and the notion of a clear casino bonus is soon lost under wagering requirements, wagering ratios and a long, indiscernible trail of bets and payout thresholds. Nevertheless, some basic pointers, along with a little bit of careful playing (including on some tables you might not normally hit as your first choice) you can prolong your gambling, and possibly even see a real cash payout from playing with someone else’s money. A casino wagering requirement is a failsafe put in place by casinos to ensure the new gambler doesn’t simply make take their bonus, throw it all down on one bet, win through luck or skill and walk away with a fat chunk of cash, never to hit the casino again (and possibly to move on to the next one offering a freebie to do the same!) Casinos want players to stay on their website, and more importantly, to keep wagering with their own money once a casino bonus has run out. To this end, the terms and conditions will always stipulate a minimum wagering requirement. That is, let’s say that the casino gives you a £100 welcome bonus with a 30 times wagering requirement. Before any winnings can be drawn on the bonus, the player will have to wager £3000 in total. To play through a casino bonus, new players need to look at just what is expected of them. Do you honestly see yourself having the time, skill and patience to play through £3000 at the tables? Is there another casino offering the same bonus with a 10x wagering requirement? Or, if you make a matched deposit bonus, does it come without any such wagering requirement? If you can throw down £100, receive a £100 bonus and not have to re-wager it at all, a quick win is potentially on the table. Table games that are skill based, such as blackjack and roulette, are often not the best way to get through casino playthrough requirements. These are not only the most enjoyable games, but any savvy player can often turn a profit utilising tried and tested methods can virtually guarantee some sort of win, even if it’s a small one. Casinos will often reduce a blackjack or poker wagering ratio to as little as 10% of the wagering requirement. So, £100 bet at the blackjack table may only count as £10 towards satisfying the wagering requirements. Yet, slots, scratchcards or live horse racing may be a simple ‘one for one’ exchange, with £1 being exactly £1 when it boils down to it. This means that, in order to stand a chance of clearing the wagering requirement, one has to probably steer away from the tables and look at the less glamorous games. Certain tactics can certainly point the player in the right direction. For instance, at the roulette or blackjack tables, the ‘double or nothing’ method can often not guarantee an eventual win, but it can turn over some serious wagers which contribute towards clearing the requirement. Lose £10 on a bet? Bet £20. Lose the £20? Bet £40. When you eventually win, you’ll get your original £10 back plus the winning bet. In the meantime, you’ll have wagered several hundred pounds and got a bit closer to clearing that requirement. Be careful though…many casinos will cap ‘double or nothing’ to prevent such a scenario. 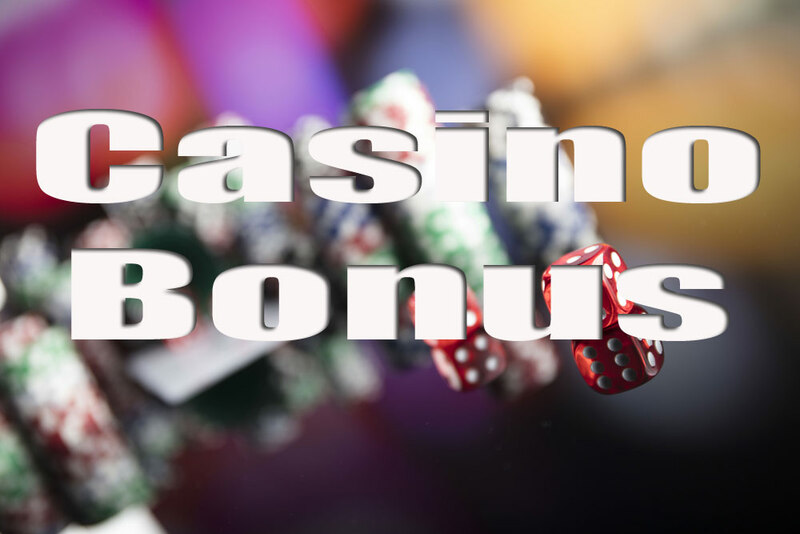 Casino bonuses should always be seen as a sweetener and not a definite way to guarantee a win with free money. Stringent terms and conditions are often attached to ensure tried and tested methods are stopped in their tracks, and that the bonus is not simply an excuse to play your favourite games for free. However, that doesn’t mean you can’t be shrewd; there is a possible win at the end!